One of the most interesting panels I attended at Otakon this year was “Pop Culture From a Multipolar Japan,” hosted by Roland Kelts, author of Japanamerica: How Japanese Pop Culture Has Invaded the U.S. I read Japanamericarecently, so some of Kelts’ points were familiar to me, but hearing him explain in detail how anime reflects the crucial bases of Japanese culture was still enlightening. However, I was a little surprised when he mentioned Sailor Moon as an example of Japan’s multipolarity. Basically, Kelts said that when the Emperor was revealed to be powerless at the end of World War II, the idea of a trustworthy father figure was taken from Japanese culture in a way it has never really recovered from- hence the “the great leader is actually corrupt” subtext present in many anime. “I’m trying to get you to think a little bit about this idea that Japan is a multifarious, blender of a culture…a multipolar state because it lost its binaries. It lost its sense of a leader and a people…and so when you have these artists like Tezuka and subsequent generations- Otomo, etc.- writing about the world they live in, it’s much more multipolar in depiction that what you expect from, for example, U.S. popular culture. The superhero stories…instead you get the girls of Sailor Moon. “You get teams, right? Groups of people who have to work off each other and figure things out. You don’t get the great leader. And if you do get the great leader, the great leader’s corrupt,” said Kelts. In general terms, I believe Kelts is right- I think the popularity of team-based stories in Japanese culture has to do with the way Japan had to radically realign itself (and in some cases, have itself forcefully realigned by the U.S.) after WWII, including, but by no means limited to, the reduction of the Emperor from the leader of the nation to a powerless symbolic figure. However, how well does Sailor Moon fit his example? The more I thought about it though, the more I realized that there were other parallels to the situation Kelts described in the story. In the first season, the Senshi are looking for the Princess, this sort of divine figure that will hopefully make sense of everything for them. And it turns out to be…Usagi, seemingly at that time the weakest and most immature out of the whole group. She may not have been corrupt (at least not until PGSM at any rate), but it’s still easy to see that plot point as an expression of the idea that the “great leader” will always ultimately be a disappointment. And yet, in the end Usagi isn’t a disappointment, is she? Did the Japanese really give up on the idea of a leader figure, or did they just give up on the Confucian, patriarchal version? I think it’s the latter; I apologize if this all seems a bit out of character for this blog, but these are the kinds of questions considering Sailor Moon in a Japanese context, not just an entertainment context, leads you to ask. Whether you agree with Kelt’s assertion that Sailor Moon is one example of Japan’s trend towards multipolarity post-WWII or not, I highly recommend Japanameria, even though Sailor Moon is only mentioned in passing in the book. It was written before the 2008 financial crisis, which means some aspects of the interplay between the U.S. and Japan have changed in the few short years since Kelts wrote it, but it’s still a great resource if you’re looking to understand why our favorite anime are the way they are. Naoko in the News (But Only Briefly)! We came across an article about girls novels that was published a little under a month ago (but our news source decided to take notice of it now). This article was written by Mariko Nakamura, who is a mangaka in Japan, and she chronicles girls (shoujo) manga, from how it began to what it is like today. One of the first shoujo novels ever created was Hana Monogatari (Flower Story), an anthology of 52 stories about romance. Some had happy endings, some didn’t, and not all the stories were about boy-girl relationships! The story was largely based on women from the Meiji period, and was created by legendary mangaka Nobuko Yoshiya (pictured around 1930, courtesy of Wikipedia). 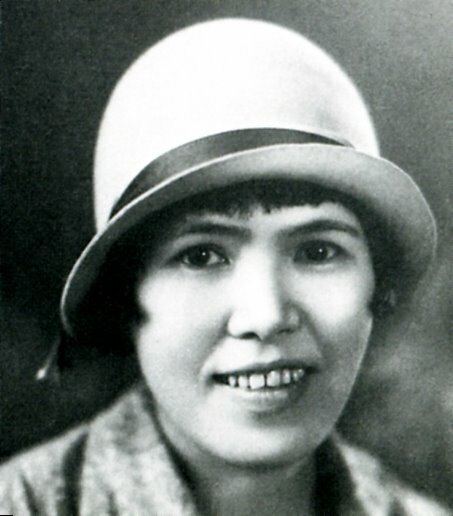 Nobuko’s first chapter was published in 1916 in a women’s magazine supplement called Shouji Yogahou. This was during a time where largely men were being educated, and this magazine was a sister supplement to men’s magazine. In 1943, when women in Japan got more rights, there was an increase of more magazines aimed for women (and not just supplements). 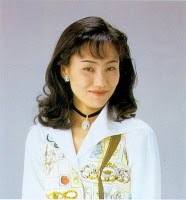 Three volumes of Flower Story were published, and they were re-released in 1995. Mariko was on a mission to change the image of women from a foe to a friend, and didn’t see writing as a punishment (like many had thought in her day). This lead to shoujo novels that portrayed free women. Women no longer kept their mouths shut in a male dominated world, and were so much more than the good housewife and mother that society had made them be. They were brave, wore western clothing, and cut their hair into bobs (it was a norm back then for Japanese women to have long hair). Wearing western-style clothing was akin to Japanese women dressing like women from the United States who were thought to be strong characters. This continued when Nobuko in 1925 took a big leap and moved away from the supplement and published her own magazine for the next 8 months, Kuroshoubi (Black Rose). What has always made shoujo novels special is how the bonds between the girl characters are portrayed. This was especially true in the 80’s when publishers finally began to support shoujo manga. This allowed readers to really see girls for what they were, instead of just basing their opinions on the outside. All of these stories were inspired by Nobuko’s work, and provided a great mass of support for girls growing up in Japan at the time. In the 80s, the format of these novels also changed to mangas, and of course, this paved the way for many of the titles we see today. Later, the friendships between girls became more important than love, as evident in the series NANA by Ai Yazawa. 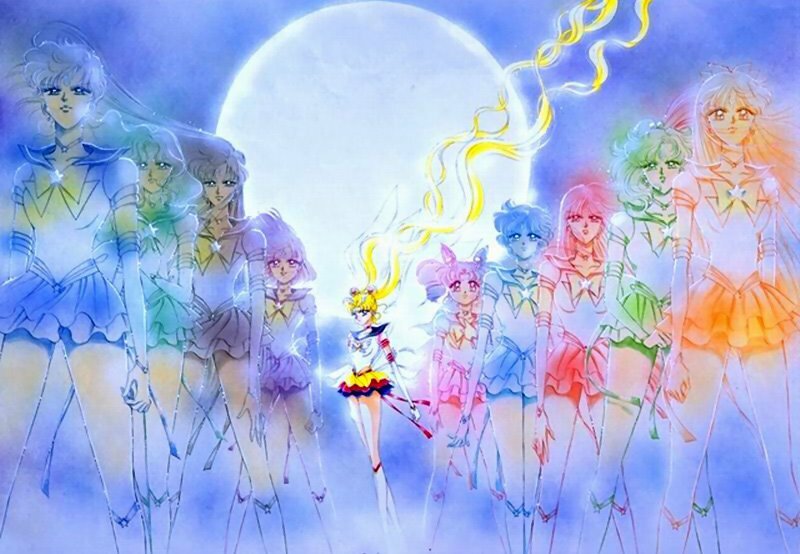 Naoko Takeuchi’s Sailor Moon was a brilliant example of the power of friendship overcoming everything (when all the senshi fought together, they were unstoppable)! To all the girls who read these manga, every character is strong and brave for who they are in their personalities, and they inspire every girl to be true to themselves and to have a good heart. While the mention of Naoko Takeuchi in this article was brief, we’re really glad that Mariko remembered it when she wrote about shoujo novels. Sailor Moon was really a legendary series, and though it has pretty much disappeared, it’s influence and story still lives on. When we redid the layout, I ditched the old slogan “Chasing Sailor Moon News All Over!” in favor of “The Legend Lives On” for that reason. The actors and crew have all come so far since then , and the story still lives on as a big influence and part of Japanese manga and anime history today. Sadly, Nobuko (who was born in 1896) is no longer with us today, she passed away at the age of 77 in 1973 of colon cancer. This was definitely one of the hardest articles we’ve ever had to translate and summarize for this site, but it was worth it. It didn’t really go deep into the evolution of shoujo novels, but it did at least give you all a taste of it’s roots up until now.